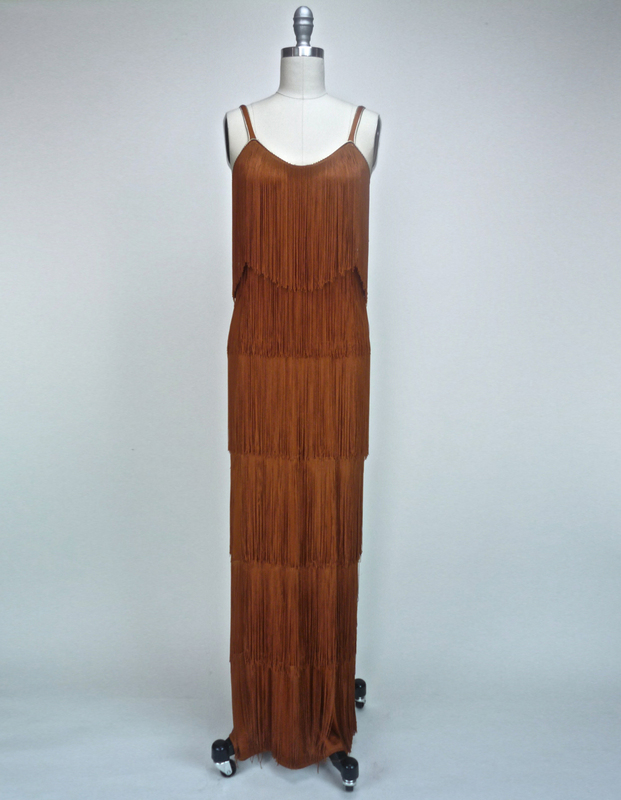 Cinnamon spice coloured fringe Sheath dress is spinning heads! Born in France, this 70s stunner boasts tiers of 8″ fringe head to toe, finished with a shimmering gold trim along the neck and straps. Body clinging, goodness flows down to a Formal length – a high dramatic side slit of course, and owns it.